It's been a while, hasn't it? It's December already. Summer. But the weird Melbournian weather doesn't seem to show that. Rain. Thunder. Rain. Sun. Rain. Rain. Thunder. Lightning. Rain. Sun. You never know what to expect. But that's life isn't it? There are too many things that need to be done. I've just been busy.. I haven't had the time to bake and blog. I've cooked/baked, but just haven't blogged anything. Haha... Plus, I'm still waiting to use the new kitchen and my new kitchen appliances! I can't wait! 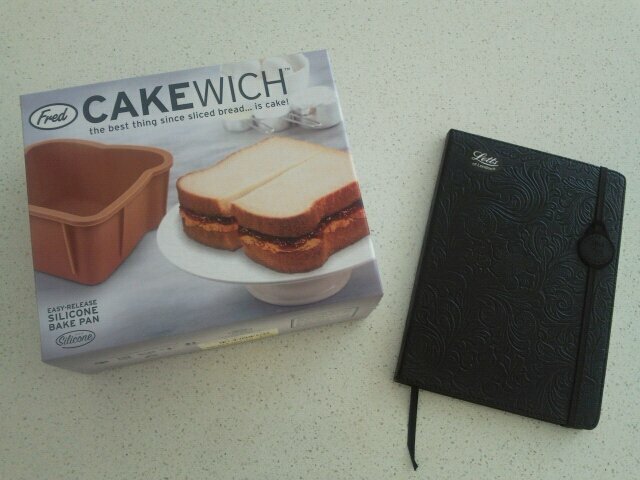 ...and I finally found my Fred Cakewich the other day! 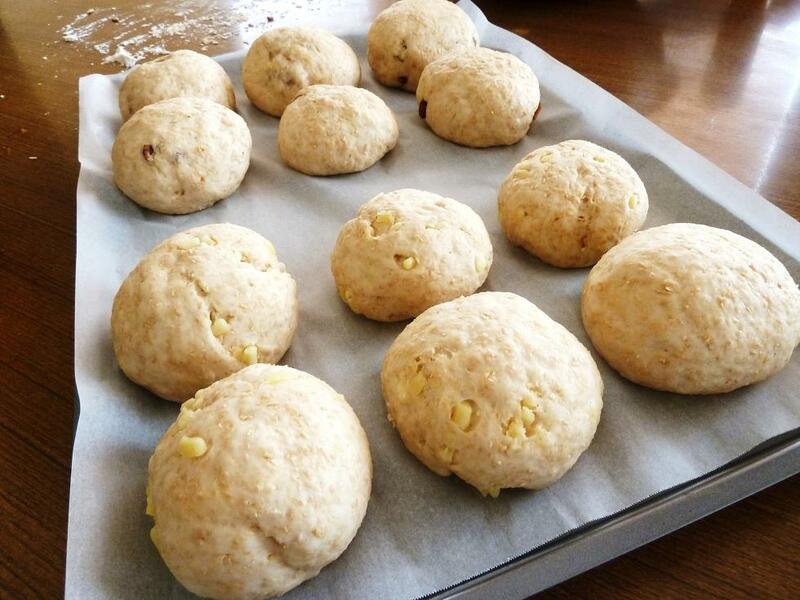 Because I didn't want to open my appliances yet, I made some wholemeal bread rolls the traditional way - by hand. Wholemeal cheese, wholemeal fig and wholemeal topped with pepitas and sunflower seeds. Mmm. 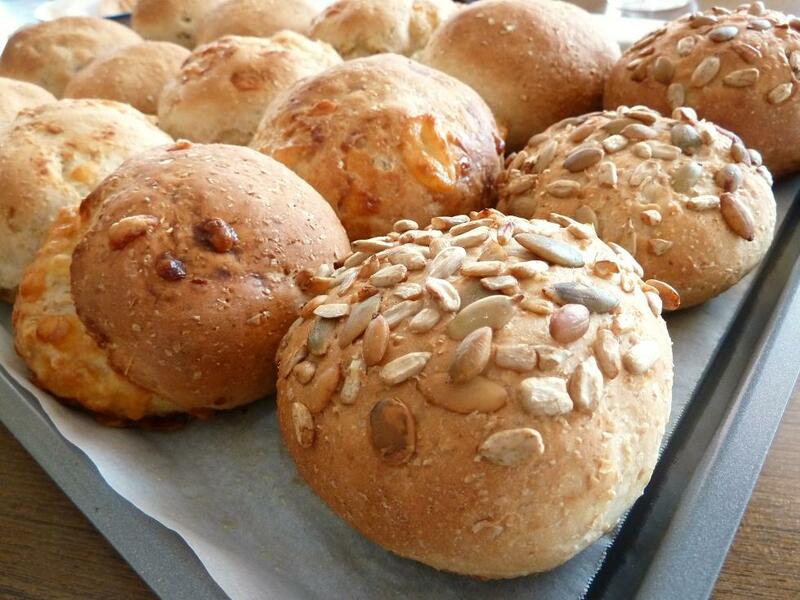 The fig and sunflower seed/pepita rolls are my favourite. I liked them ever since trying them at BreadTalk (Sg) a few months ago. The sunflower seeds/pepitas give a mild sweetness after being baked on top. But I still love the fig bread more. :D Yum yum! 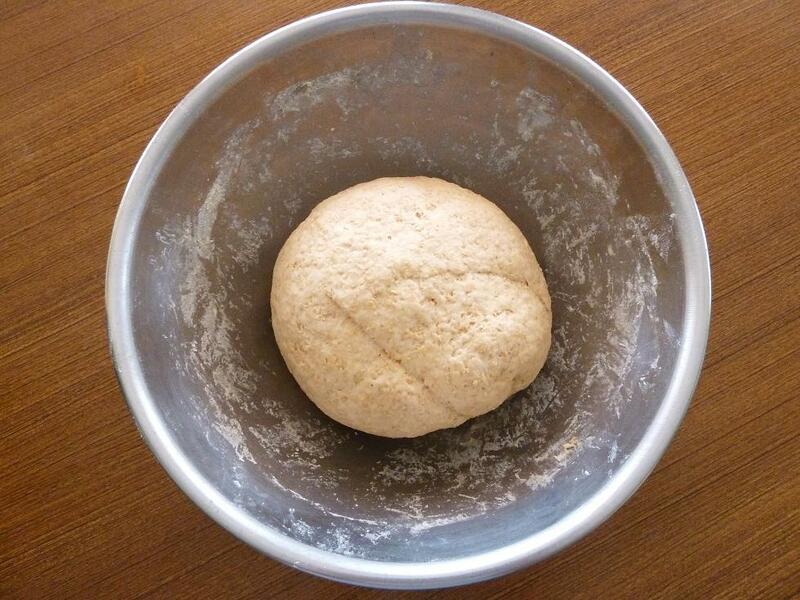 Mix flour, yeast, salt and sugar together in a large bowl. Add water. Combine and mix. 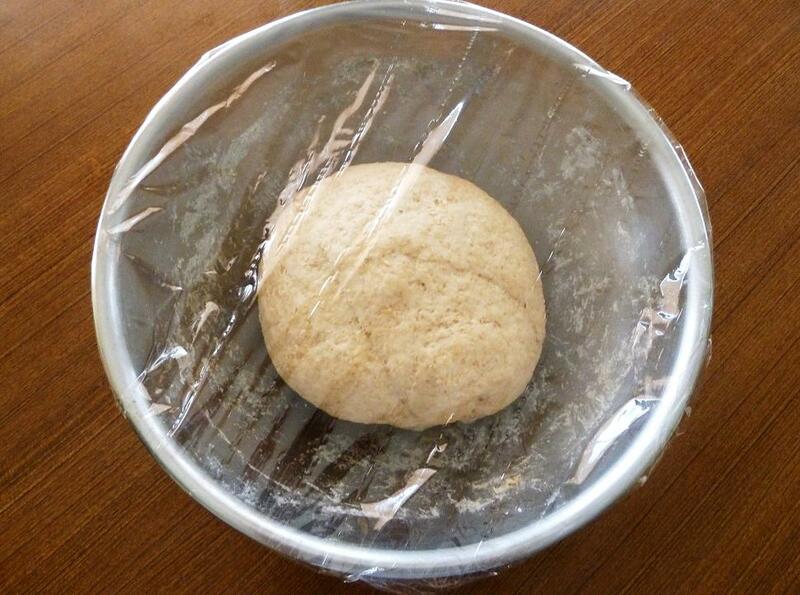 Cover with plastic wrap and leave to rest for 60mins or when doubled in size. 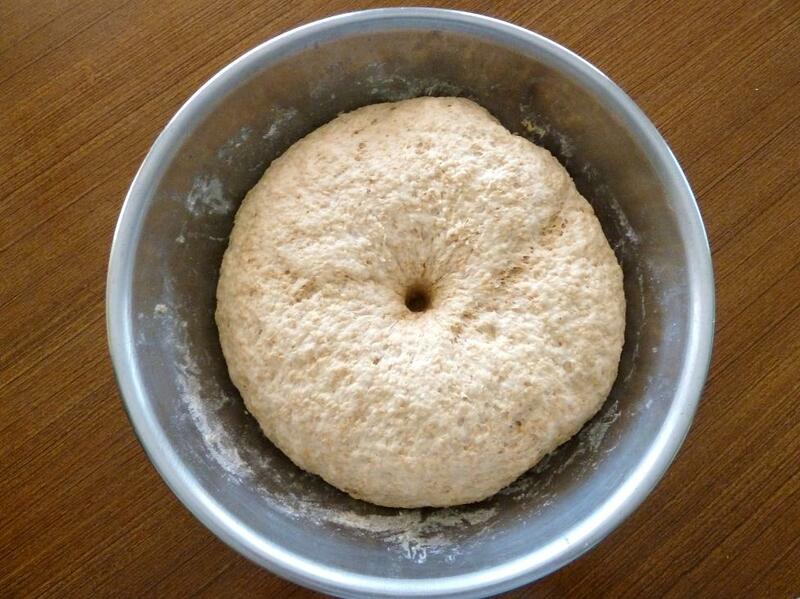 Test to see if dough is ready by poking a hole in the centre. The hole should keep it's shape. Split dough into 16 pieces. 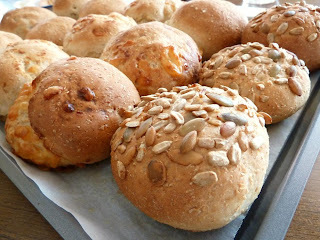 For sunflower seeds/pepita bread: Add pepitas/sunflower seeds to dough tops after brushing with a little bit of water. 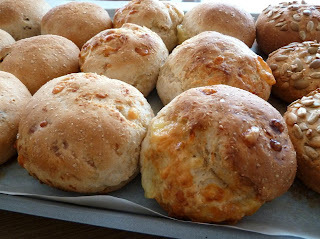 For cheese bread: Knead grated cheese into the dough. 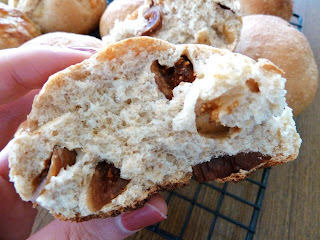 For fig bread: Add sliced/diced dried figs and knead into dough. Allow to rest and rise for 30-45mins. Bake at 180C in a preheated oven for 20-25mins. And if you have any leftover wholemeal dough, or wanted to make a pizza, you can do so too! 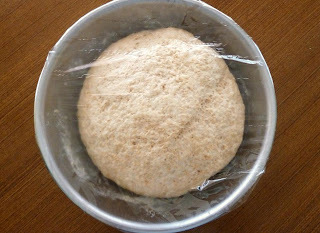 I made up some more dough for a pizza base. 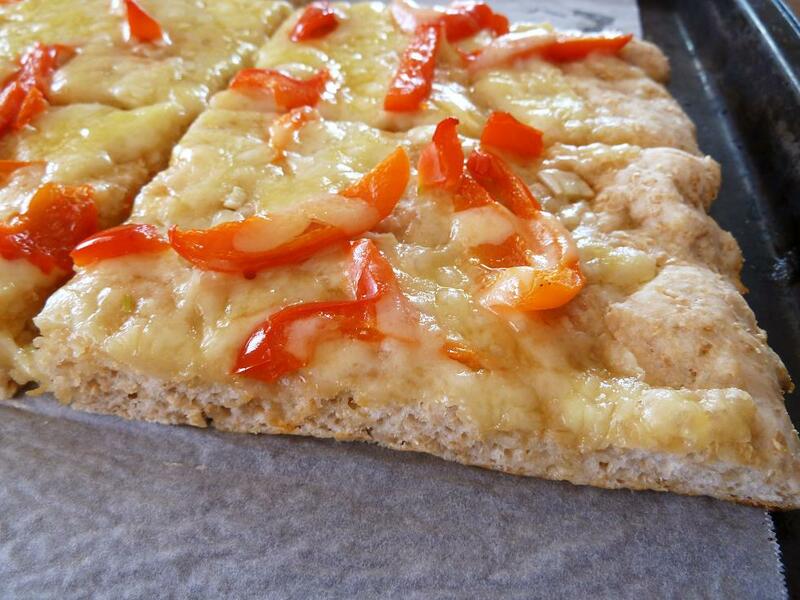 It's a capsicum, garlic and cheese wholemeal pizza.